I’ve always liked Tie-Dye shirts and whatever else that it is applied to. I’ve bought some things at street fairs and watched them as they did it. There is an art to doing it. I’m astonished they did this in the 1920s. Methods of tie-dye were formed in India, Japan, and Africa as early as the sixth century. 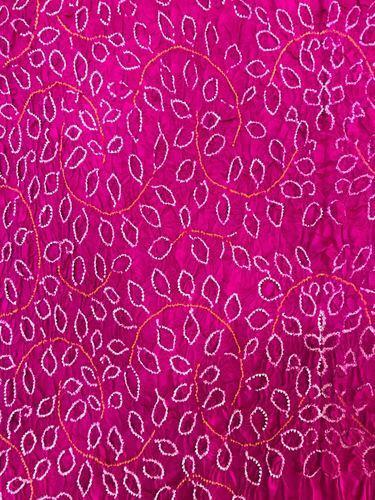 the oldest known tie-dye tradition that is still practiced is an Indian method called Bandhani. Tie-Dye was popular in the 1920s from home decorating to dresses. 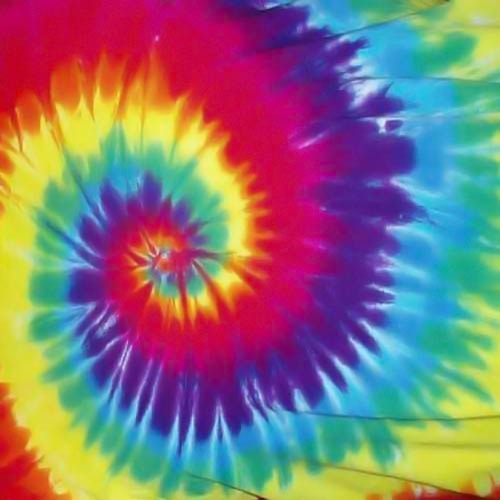 In the sixties, tie-dye soared in America with the hippie movement. Hippies wanted to throw off the norm of the fifties with flashy and out of the norm clothes. Before tie-dye became popular, Rit Dye was struggling. Don Price, a marketer for Hellmann’s Mayonnaise, began a marketing campaign for the dye in Greenwich Village, where many hippies lived. He went door to door, looking for artists who would use Rit for tie-dyeing. Then came Will and Eileen Richardson, two retired artists who made tie-dye pieces that Price showed to designers and fashion editors. After clothing designer Halston started using tie-dye in his designs, stars such as Janis Joplin were wearing it. Soon enough, tie-dye became a bandwagon the entire youth generation jumped on. To this day you can go anywhere and buy anything tie-dyed you want…it’s not just for the counterculture anymore. Wow- just an hour ago I went walking at the mall and saw some fella who made me think of the Dead Heads and tie-dye t-shirts. I haven’t seen many in recent years at one time they were very popular. I even had a wardrobe of tie-dye t-shirts that I wore one summer. I can’t even recall the last time I saw them on sale… and I come home and here you have written about them! I must have caught your tie-dye vibe lol… You know I should have mentioned the Dead in it because that is who you think of when thinking of Tie Dye. I’ve owned a few shirts…love watching them do it with the rubberbands and all of that. I loved the bright colors. I saw this guy- and he didn’t have a tie-dye t-shirt on but he looked like about every dead head I’ve ever seen–and it made me think of those t-shirts….and I thought what happened to the 4 or 5 I had— i then completely dismissed the thought from my mind- I would look like some old hippy wearing one of those now. I don’t know where mine are…I havent worn any in a while. I know what you mean…I would feel the same way. I guess it depends on where you are going…I tend to see a lot at concerts and street fairs. I was astonished to see tie dye was around in the 1920s….not as bright though. I was so glad when tie-dye came back as a retro thing. Now I have too many tie-dye shirts, but I love them all! Dying fabrics has always fascinated me, but I’m not very good at it. As you described, there have been so many cool techniques developed in different generations and cultures. I didn’t realize it was a trend in the 1920s. I’d love to practice it more. That just amazed me that in the 20s they were doing this…probably with just one color though. I’ve seen them do it at Street Fairs with the rubberbands. It looks fun to do. It does seem really fun. You can even use Koolaid for the dyes. Wow I didn’t know that. That makes sense… I remember koolaid stains that would never come out. Haha, Koolaid and grape juice were the worst! They’ve never gone out of fashion to me! Although I don’t think I’ve had a tye dye shirt for ten years… time to break out the Christmas suggestion list! There you go… When we went to the beach in July in Florida….they were everywhere. I’m sorry this got caught in spam yesterday… The 20’s stuff blew me away. It looks like a lot of fun to do.